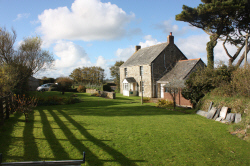 Trewithick Farmhouse offers stunning accommodation in the hamlet of Trelights, close to Port Isaac in Cornwall. Only a few minutes' drive from beaches, golf courses and local amenities, it is ideal for a relaxing break. This delightful property is brimming with character and is ideally suited for larger families. This property sleeps 8 people, but can cater for up to 10 people on request. The open plan sitting room comes with a modern wood burner & comfy sofa and is an ideal place to relax after a long day exploring the local area. The hamlet of Trelights is the perfect base to explore a range of attractions in the local area. 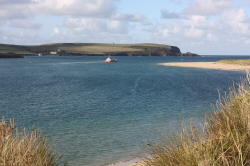 You can enjoy stunning coastal walks or visit the various galleries and craft shops. In the summer, you can take a boat trip from the harbour or spend a day at one of the beautiful beaches nearby.